What started as WXPN's free Singer-Songwriter Weekend in 1993 has evolved into the XPoNential Music Festival presented by Subaru -- WXPN's signature annual concert event that draws audiences from throughout the Greater Philadelphia area, Mid-Atlantic region, and Northeastern U.S. This year's festival is the 25th consecutive summer music festival produced and presented by WXPN. 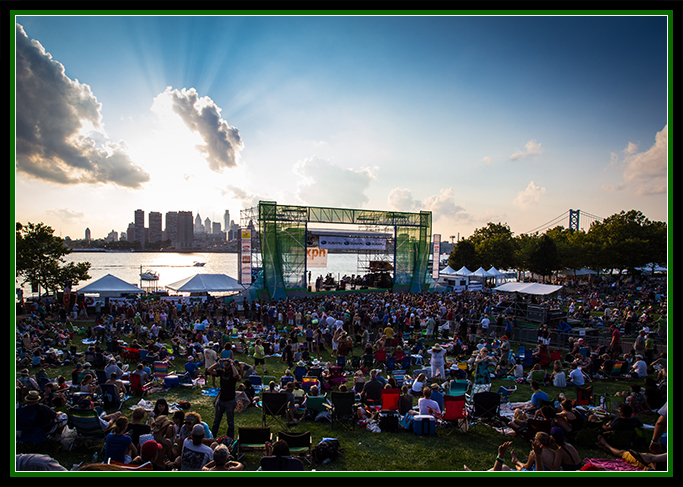 Now located at Wiggins Park in Camden, NJ, and featuring evening concerts at the adjacent BB&T Pavilion, WXPN produces the XPoNential Music Festival every July in partnership with the Camden County Board of Freeholders. The three-day, family-friendly festival features a mix of approximately 30 established and new artists that continue to define WXPN as an important source of music discovery. The XPoNential Music Festival has become known for convenient access via public transportation, natural amphitheaters that produce great sound, plenty of activities for kids, extensive food, drink and vendor selections, and festival seating and riverfront promenades that offer spectacular views of the Delaware River and Philadelphia skyline. Acts to perform this year include David Byrne, Sylvan Esso, War On Drugs, Sturgill Simpson, The Lone Bellow, Margo Price, Phoebe Bridgers, Lo Moon, Mondo Cozmo, Hiss Golden Messenger and many more. In 2004, WXPN formed a partnership with the national non-profit Musicians On Call organization to create its first expansion outside of the New York region: WXPN Musicians On Call. Thanks to the success of WXPN Musicians On Call in the greater Philadelphia area, the program has since expanded to 14 hubs and 23 cities across the country, including Los Angeles, Miami, Nashville, Washington, DC, and San Francisco. WXPN APD and Midday Host Helen Leicht coordinates WXPN Musicians On Call. Bedside performances are provided each week by volunteer local musicians who go room-to-room at eight participating healthcare facilities located in Philadelphia, Delaware and South New Jersey and perform for patients and their families. Musicians are escorted during their visits by volunteer guides who are selected and trained to meet the requirements of both the WXPN Musician On Call program and the participating healthcare facility. 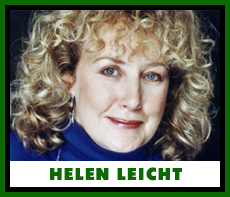 Leicht said, "I knew the program was a match for WXPN. We are all aware of the healing power of a song. Musicians On Call brings the artists and volunteer guides into the hospital rooms not only for the sick but for their families who are also struggling." Since its 2004 launch, more than 100 volunteer musicians and guides have helped WXPN Musicians On Call to deliver the healing power of music to more than 105,000 patients, families and caregivers in the Greater Philadelphia area. 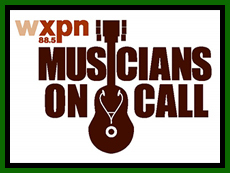 WXPN Musicians On Call receives funding from family foundations, businesses, and individuals. Musicians frequently support fundraising efforts by donating their performances for benefit concerts and occasionally by donating a portion of proceeds from ticket sales, such as artist Amos Lee has done. Many stations try to focus on the local music scene, often via a local music show or by incorporating local artists into the regular music mix, but Assoc. GM of Programming Bruce Warren wanted to take it to a new level. "With the growth of the Internet and digital media, we recognized the opportunity to create Philly Local 2.0, the next place to reflect our obligation to local music," said Warren. By getting the concept incorporated into the NPR Argo Network (which helped to fund it), WXPN was able create The Key in 2010. "We saw The Key as a platform to increase our audience while also providing a new way to engage them and deepen our service to Philadelphia's music community. With The Key, we're able to better reflect the diversity of the Philadelphia music scene, give local bands a platform to showcase their music in multimedia formats and position WXPN even more centrally in the market conversation around local music," added Warren. In 2012, John Vettese became The Key's editor and has helped differentiate WXPN's content from that of local competitors by honing The Key's editorial voice and story choices. He significantly improved The Key's social-media engagement on Facebook and Twitter. The Pew Center For Arts & Heritage has awarded WXPN substantial grants to make deep musical investigations that enrich its local, on air and online communities: the Mississippi Blues Project (2013), Zydeco Crossroads (2015), and Gospel Roots of Rock and Soul, which just launched in February 2018. For each of these year-long initiatives, WXPN researches and produces new and original content and programming for on air, online and special events that illuminates the genre and its importance. Each project has been successively larger in scope. GM Roger LaMay and Bruce Warren, WXPN's Assoc. GM for Programming, are executive producers. 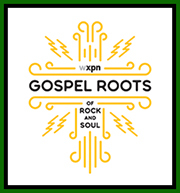 For Gospel Roots of Rock and Soul, WXPN is producing a series of free film screenings and concerts in and around Philadelphia; audio content for WXPN and World Cafe; a radio documentary series that will be provided to other public radio stations; and a website rich with interviews, music, videos, and exclusive content from some of the most acclaimed and authoritative voices in gospel and popular music. Through these projects, WXPN furthers its mission to connect artists with audiences, and to expand the capacity, reach and value of its services to an increasingly diverse community. Under the guidance of WXPN GM Roger LaMay and Paragon Media Co-Founder/CEO Mike Henry, VuHaus was launched at the 2015 NON-COMMvention. The concept was to create a collective of public media stations (six, initially: WXPN/Philadelphia, KCRW/Los Angeles, KEXP/Seattle, WFUV/New York, KUTX/Austin and KTBG/Kansas City) to build a new service so that audiences can discover emerging and established artists in an ever-expanding video collection. The web and mobile sites feature exclusive in-studio performances in intimate settings, one-of-a-kind interviews, and live performances, curated nationally and locally by trusted tastemakers. Since then, more than 20 stations have become part of the initiative. Triple A veteran programmer Mark Abuzzahab is PD and Michele Tharpe is Marketing Director. "What sets us apart is our collaborative nature, local city pages that will be curated by each station, and that our app and website will provide a seamless viewing process," said Abuzzahab. "The playlists will be hand-picked by humans, not computers, and unlike other websites you won't have to sift through cat videos or endless ads to see the music you want to see." "And best of all, since our library of music comes from our member stations, the performances themselves are better and more intimate than the studio versions. As someone who spent countless hours in record stores searching for imports and b-sides, I know there are other music lovers who want to hear a live or acoustic version of their favorite song rather than a generic lyric video." Tharpe said," Our audience continues to grow each month as people are finding a sense of place in VuHaus, where they can go and find a beautifully designed presentation of highly quality HD videos of innovative artists, all in one place." In September 2017, NPR Music and PDs from VuHaus' public radio music station network announced Slingshot, a new collective effort among these stations to elevate the profiles of emerging artists. The video, interview and live event series has its home at NPR.org/slingshot. "NPR MUSIC and public radio music stations have an unparalleled relationship with their listeners," said Roger LaMay, WXPN GM and NPR Board Member. "It's exciting that these trusted sources for music discovery are collaborating to maximize our footprint as we find, celebrate and 'slingshot' artists into the next chapter of their careers." 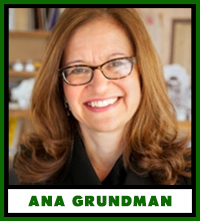 "This is an exciting and game-changing opportunity for emerging artists," says Anya Grundmann, NPR VP/Programming and Audience Development. "We are eager to leverage the full power of the public media system to serve as a launch pad for talent and to connect talent with our passionate and discerning audience." The inaugural acts were Big Thief, Jamila Woods and Lo Moon. In early 2018, 20 more acts were added that span all genres of music. They are Nilüfer Yanya, Octavian, Air Credits, Bedouine, Brent Cowles, George Li, Gracie and Rachel, Haley Heynderickx, Hello June, Hembree, The Hogan Brothers, Jade Bird, Knox Fortune, Lawrence Rothman, Liz Brasher, McKinley Dixon, Mt. Joy, Phoebe Bridgers, The Shacks, Sidney Gish, Thunderpussy and WebsterX.